Fun in the country’s 49th state is not hard to find, especially when visiting the capitol city. 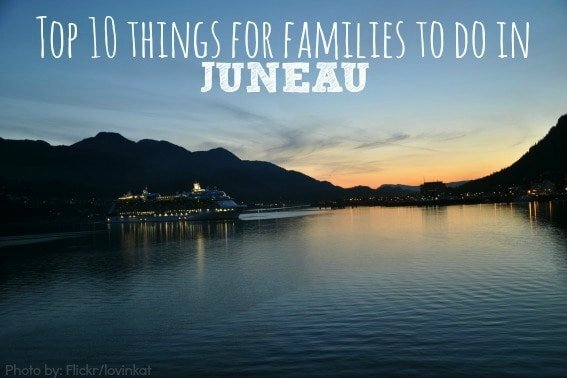 With all of the appeal of the temperate rainforest and a much smaller population than Anchorage, Juneau has an offering the size of the ocean for families looking for fun. Here are just ten of the best activities we discovered while visiting the capitol of The Last Frontier. 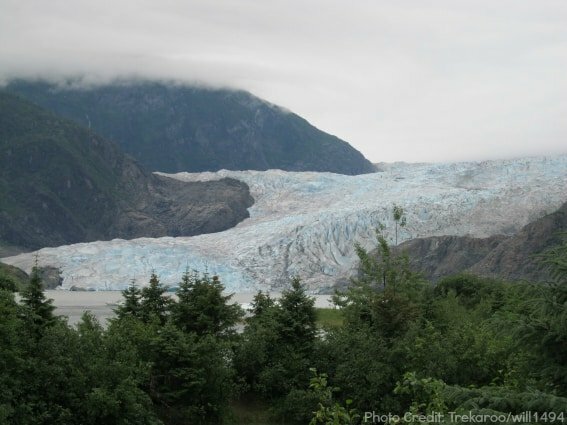 Originally called “Auk” Glacier by John Muir, Mendenhall is neat because it brings a profound and tangible subject matter like, oh, say a glacier, front and center for learners of all ages to see and understand. 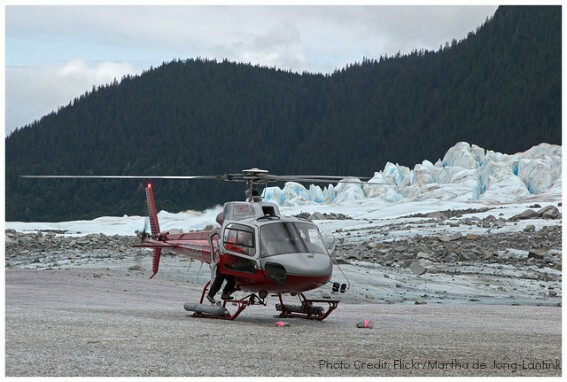 Most of the time visitors have to take a boat or plane to see a glacier — for this one, just jump in the car or on a shuttle bus! Brave beach-goers will don bathing suits and sunbathe (and even take a brisk dip) in the lake at the base of the glacier on warm Alaskan summer days. Kids will love running around the outdoor property, and older kids and parents will enjoy the visitor’s center films and programs. Seasonal fish cams are fun to watch at the center as is attending a “Fireside Chat” or Kids Program! When you walk up to the hatchery make sure to stop on the ramp and get a photo taken of your family with the plethora of fishes visible behind the glass viewing area! Before even entering the facility, guests will notice the water swirling and agitating all around the hatchery; enjoy the show as the salmon make their way back “home” and the eagles, gulls, and sea birds flock and soar above. Once inside take in some of the nicest, most interactive creature tanks, as well as a touch pool area for further adventurous exploration and curious little fingers. Tour guides are ready and willing to take questions and lead visitors around the building, explaining everything from spawning to what species guests can expect to see flashing through the runs and holding tanks as well as the aquariums. There is a short film that the guide will narrate and it’s really a great (and quick) overview of Salmon 101. We really enjoyed seeing a small octopus close-up and touching sea cucumbers–something we didn’t find beach-combing. This is an easy stop, and should definitely be added to the itinerary for educational, fishy fun while in Juneau! It IS possible to hike to the glacier. From the experts that work in the area, the report is that guests must be proficient with a map as well as compass and orienteering. It would also be good if the family is in excellent shape; this is not really a family affair unless you’ve been raising the kids in a highly outdoors-influenced fashion for years. So, the best way to get out on the compressed massive sheet of ice? Fly baby! Getting there is always half the adventure, but with TEMSCO helicopter flight-seeing, the mode of travel is a major adventure. Little kids and big kids alike (and a lot of adults) love helicopters. Without breaking much of a sweat (unless you don’t care for flying), you’ll be able to stand on the ancient ice and have those epic views and photo opportunities without the sketchy bush-whacking. Make sure to bring the camera and do practice glacier safety! Sometimes getting to a magnificent place is half of the adventure. This is true for the Last Chance Mining Museum. 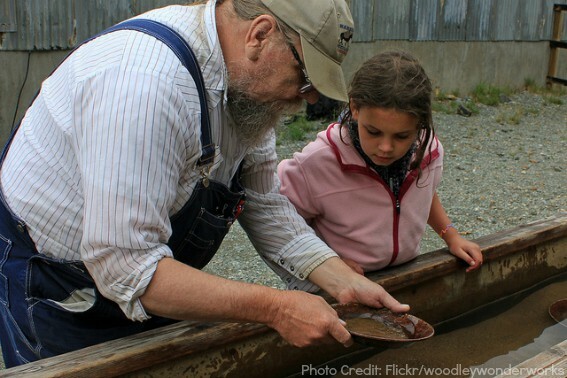 Gold mining is an intriguing part of Alaskan history and this is a top-notch tour – not one to miss while in Juneau! Visitors be warned that the roads are treacherous. The ride up the hill was possibly the best part for our crazy toddler due to the potholes and tight, vegetation encroached corners, and crazy hills. It also offered the adults a great view of the valley. Parents will appreciate that the tour is educational, hands-on, and a bit of an adventure. Last Chance Mining Museum admission is really inexpensive but the experience is rich with learning opportunities and historical fun. The Museum is listed on the National Register of Historic Places and with Alaska Gold Rush Properties. After the kids learn about the gold rush from the experts, we found it was really fun to grab some fools gold from the local shops, find a safe and remote section of a stream, plant the fools gold into the stream, and take the kids out panning. Boy are they proud when those nuggets start to show up in their pans! Set aside an afternoon for this experience. If you’re in Juneau in the winter, Eaglecrest is THE place to get your ski on; to the locals it’s called “the best little ski area in the world!” A place to eat, ski, get gear fixed, rent gear, and enjoy four double chair lifts is just a bit of what you’ll find here. With runs from double diamond to classes that are “Just for Beginners”, the hill is for everyone! There is even a “Snow Bus” that travels around Juneau proper, getting folks that do not want to or cannot make the drive to the mountain. Lift lines are short and the chilly fun is epic. 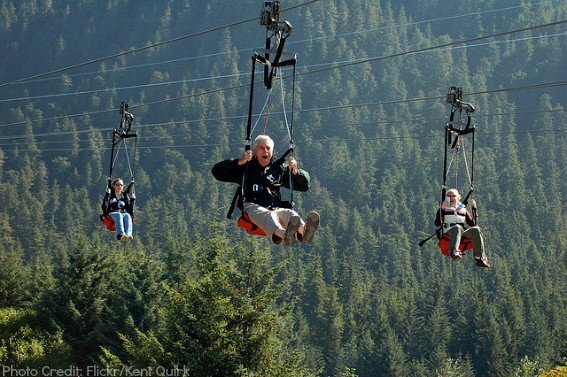 In the summer, a zipline company called Alaska Zipline Adventures uses some of the ski facility to provide guests with warmer weather whimsy. Those nine and up are able to enjoy the thrills, flying through the treetops and seeing things from a different angle. From one tree platform to the next, guests can have wildlife spotting opportunities and are guaranteed to have some gorgeous views of the area. If you have kids looking for a little adrenaline rush, this is a great way to make them smile! Having ziplined, we can say that it is fun and it’s nothing terrifying. It is also a great option for multi-generational fun! 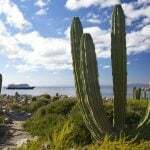 This tour can be booked through Temsco and most of the cruise ship shore excursion desks, as well as in the downtown district. 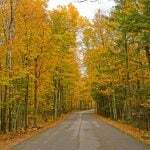 It follows the same path (but goes even further) than the Last Chance Mining Museum road so be prepared. The driver made the journey fun for our son; it was like a four-wheeled roller coaster instead of just a van ride. (They have seat belts in the 15 passenger van, but no carseats, so plan for that if you have very little ones.) Being in a gorgeous alpine valley just minutes outside of Juneau, surrounded by scores of barking, excited dogs and puppies…yes….puppies, it’s the ultimate in kiddo delight! Take a quick, but fun ride behind a team of sled dogs and meet their mushers – most of whom have Iditarod experience. (Some have even won!). There are refreshments and lots of photo opportunities, as well as tents with displays of real mushing equipment, history, and stories from the trail. For those that loved the cartoon movies, there is a photo of the real Balto on display as well! We had a blast and our son loved the puppy kisses and cuddles. Yours will too at the Summer Dog Sled Camp! There are a ton of paddling options here in Juneau! 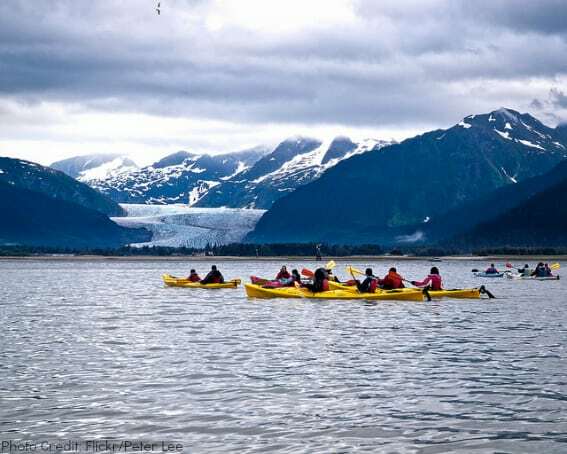 Mendenhall Glacier paddling will get you close encounters of the icy kind, while ocean paddling offers flat water fun with broad vistas and the chance to see the shore closer than any cruise ship can go! Above & Beyond Alaska can get you near the glacier, while there are several outfitters that can help outfit your family with boats or SUPs for oceanic adventures. For wildlife and birding enthusiasts, paddling is a fantastic way to “sneak up” on wildlife to get those great photos and views that many only dream of. You might even see whales and feel like one of the pod! The water is very chilly so wear layers to stay warm (and cool) and expect to get at least a little wet from sea spray and paddle splashes. 2. Tide Pools, Seaside Picnics, and Beaches! One of the best things to do with your family once in the Juneau-Douglas area is to simply find a spot to pull over and run down to the beach during low tide and do some exploring in the tide pools. Get a book of the tide tables at almost any local gas station, marine store, or even grocery store and check to see when things will be looking low. Grab field guides and binoculars (for shore birds), as well as rubber boots and maybe even a picnic to enjoy while sitting on a driftwood log or while enjoying a beachside fire. It’s easy to take an entire afternoon (or an entire tide cycle, whenever it falls in the day), to enjoy the splendor of close encounters with all sorts of sea-dwelling critters. 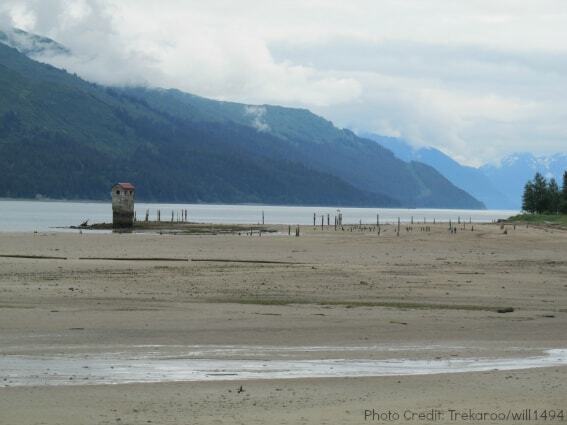 You may not believe it, but Juneau has some really fantastic sandy beaches! If you hit them at low tide and the sun is shining, you might just think you’re in Florida instead of Alaska! 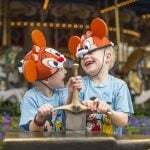 The ultimate in family fun is at the end of the ride near the top of Mt. Roberts. The Mt. Roberts Tramway is quick and the cars hold about a dozen people, so lines move quickly. The admission ticket is good all day, so if the mountain is socked-in or if you simply loved the first ride, go up again later! There are plenty of things to do at the top – eat, play, catch a short cultural film, explore art and artist demos, see an American Bald eagle ambassador, or just walk around a bit. But, if you want to have the best adventure ever that is appropriate for most ages and abilities, then head up the trail toward the summit. (There is also a trail that snakes down to town, but it’s not recommended with kids, the elderly, or the inexperienced hiker.) As you venture further, the trail narrows, the crowd thins, and you are left with amazing views and quiet alpine solitude (mostly). Dress for the weather and enjoy the path less-traveled! **Honorable Mention: The Alaska State Museum is reportedly a real gem! A popular highlight according to anyone who has visited. 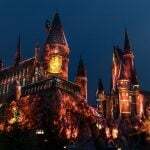 Unfortunately it is under construction and therefore closed until 2016. Be sure to include it on the list of places you simply must visit with your family if you are making the journey to the capitol city! This is one thing that we did not capitalize on, regrettably. We thought for sure with all of the cruising time on the ferry and from experience living in Southeast and seeing Orcas gliding past Main. St. through the narrows, that we’d have no problem seeing whales during our travels. Well, we didn’t, at least not close enough for a kiddo to remember! So, get out there with the experts that guarantee sightings! 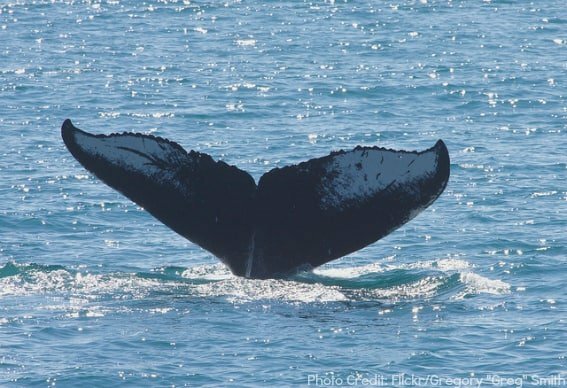 You do not want to leave the area without seeing whales and Juneau is one of the best areas around to see Humpbacks in the summer. 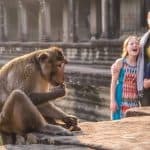 Some suggestions for a tour company? Allen Marine Tours and Juneau Whale Watch are popular choices. Or, just keep your eyes peeled for signs while down by the cruise docks. The ships probably have connections as well. The other cool thing about these tours is that guests often see other sea critters and birds including Black Oystercatchers, Harlequin Ducks, and in some very special places…puffins! Another great choice for a day of fun and a lifetime of memories for the family is charter fishing. In each and every city in Southeast Alaska you’ll naturally find fisherman, some of whom also moonlight as guides for the public. We have found doing a little research and asking the local tourism folks it’s a great ways to find the best guides for families. We didn’t have time in Juneau to get out and drop a few lines in the ocean, but we did have a great experience in Wrangell a few days prior. If it were up to my husband and son, we would be on the water each day, in every city. The kids will love reeling in one of the five salmon species in Alaska or the once-in-a-lifetime “barn door” Halibut. One trip you won’t find the tourists searching out that locals love to fish (and eat) are Rockfish expeditions. They are beautiful and bright (great for photos) and light and flaky (great for fish tacos). This is also an opportunity to be on a smaller craft than the whale tours, but where the fish are, the whales are too, so you might get a double dose of delight with fishing trips! 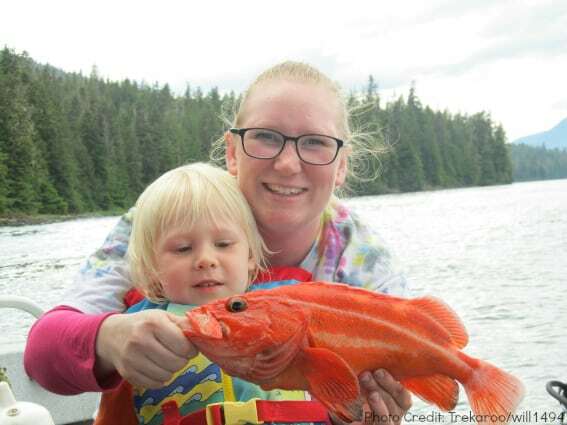 Many of the guides and resorts in Juneau have processing availability and can help you get your fish home! Experience this true Alaskan sport and way-of-life. Juneau has many choices for your family’s culinary desires. Here are a few that seem popular with the tourists and locals alike, as well as some of the favorites from our visit! Tracy’s Crab Shack has the best legs in town! 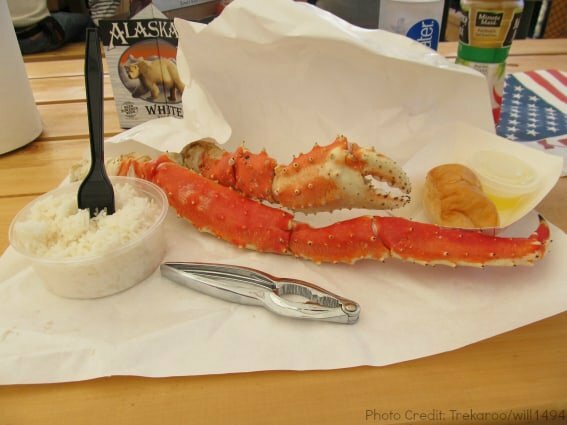 The experience of devouring the sweet, light meat of a King Crab leg is a quintessential Alaskan experience that one must have while the opportunity is there. Though market prices for this delicious shelled critter are high, it’s a great treat! There are also a few other menu items like a crab bisque and rice, but diners go to Tracy’s because they want crab! Red Dog Saloon is a landmark in Juneau and an interesting place to have lunch. It is a saloon and evening hours tend to the rowdy crowd, so if you want to experience the sawdust floor, live music, and quirky decor behind the swinging doors, go for lunch in the afternoon. The menu is short, the food is okay, but the kids really get a kick out of the sawdust floor. It’s one of those places you need to go just to say you’ve been. Twisted Fish is loved by locals and cruise patrons alike. This restaurant honors the local faire – fish, specifically salmon specialties. A tad on the expensive side but not spare in flavor, the restaurant is located by the cruise docks downtown and has something for everyone. Make a reservation, because evenings with ships in (which is almost every night) are busy! They do have a kids menu, waterfront dining, and a small parking lot for customers if you’re ferrying with your vehicle. Aspen Suites has all the comforts of home and all the space a travelin’ family could need, especially if you do not travel light! This is a great base camp for those who do not want the hustle and bustle of downtown or whose adventures start nearer the glacier end of town. The well-stocked kitchenette area can be a real asset in extended stays and feeding large families on a light budget! 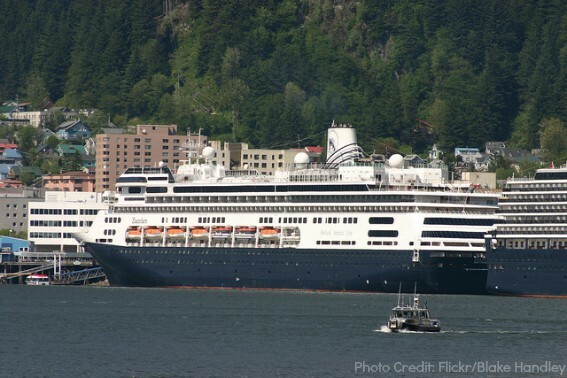 Juneau Hotel is an extended stay/kitchen hotel and a good option in the downtown area with expansive rooms and a convenient location for guests planning lots of shore excursion tours and adventures that are based around the cruise docks. The hotel is newer, has great views, and is walkable from most locations. Best Western Grandma’s Feather Bed just sounds heavenly, doesn’t it? As the name implies, the beds are a huge draw! This B&B style country inn features quality over quantity, and with only 14 suites it is the smallest in the Best Western hotel chain. There are in-room whirlpools, a country dining room, and the quiet of out-of-town living in the Mendenhall Valley. 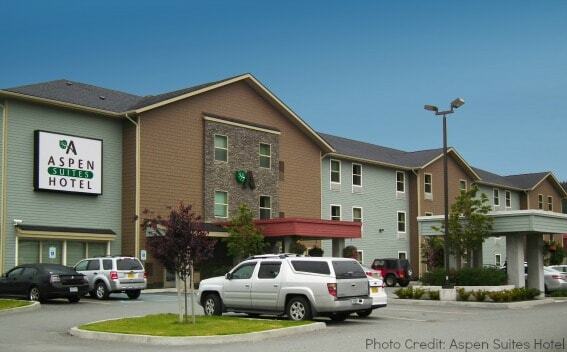 Travelodge offers budget accommodations and a rarity in Southeast Alaska, a swimming pool! Kids just love pools, so if you haven’t been able to swim during your vacation to the capitol, this is an excellent choice. For those arriving by air instead of the ferry, this hotel is directly across the way from the airport and offers a shuttle service. 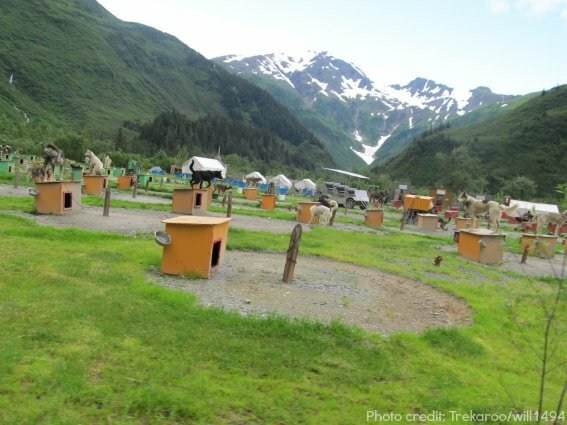 Want more kid-friendly fun in Alaska? 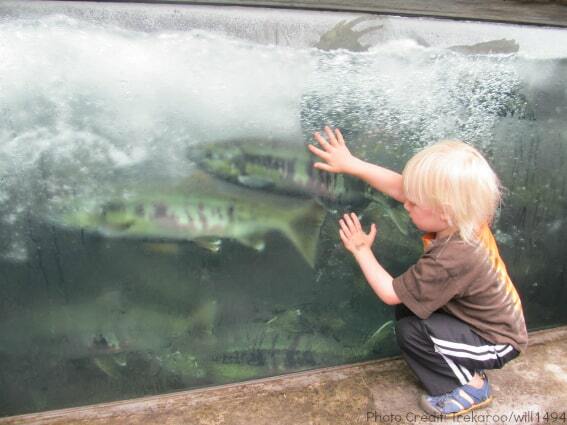 Check out our post on the top 1o things for families to do in Alaska! If you’re taking the Alaska Marine Highway (state ferry) or your ship is making several port calls, check out my itineraries of things to do with kids in Ketchikan, Haines, and Skagway, too! 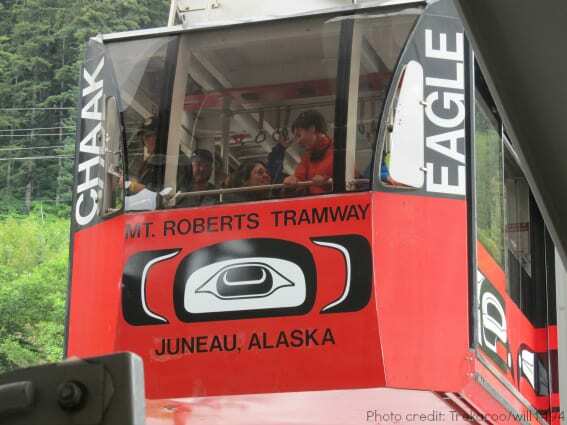 Disclosure: My family and I were guests of several attractions and businesses in Juneau, some are mentioned above. However, all opinions expressed here are our own. Thank you! Amanda Williams is one of Trekaroo's Travel Experts, specializing in Gear and Midwestern Adventures. She is the proud mama of two boys and writes about her outdoorsy, rural adventures at Field Guide to Parenting Outside. Her family loves to travel, near or far, by boat, plane, foot or car. If they aren't on an outdoor excursion someplace, they are busy reading up on where they will go next! A natural resources professional by training, the children of this mama are obligate outdoorsmen and you'll find the family frequenting the nation's public lands often!